“Can we raise capital gains taxes… YES WE CAN”. Obama’s answer: “Well, Charlie, what I’ve said is that I would look at raising the capital gains tax for purposes of fairness. We saw an article today which showed that the top 50 hedge fund managers made $29 billion last year — $29 billion for 50 individuals. And part of what has happened is that those who are able to work the stock market and amass huge fortunes on capital gains are paying a lower tax rate than their secretaries. That’s not fair. This wasn’t a first. Obama has said more than once he would lift the capital gains tax rate from the current 15% to a punitive 28%. In answering a question moments earlier from ABC News reporter and former Clinton White House aide George Stephanopoulos, Obama had vowed not to raise taxes on anyone earning less than $200,000 a year. Later, he completely contradicted himself. Apparently, Obama doesn’t know that 52% of all adults now own stock — so raising the capital gains rate from 15% to 28% would hit millions of people with incomes below $200,000. That includes, by the way, the secretary of those hedge fund managers, who likely owns stock herself. She’ll really feel the brunt. Indeed, data from Congress’ Joint Committee on Taxation show 20% of those with capital gains in 2005 had annual incomes less than $50,000. So Obama’s “tax-the-rich” plan to jack up cap gains rates would in fact become a huge middle-class tax hike. Each of the three major capital gains tax cuts since President Kennedy’s was followed by booming stock prices and a surging economy. This is no accident; it’s cause and effect. What if Obama gets his way? A just-released Heritage Foundation study finds raising the cap gains tax rate to 20% and restoring the 37% rate on dividends would over two years kill 683,000 jobs, reduce GDP by $90 billion and slash $1,675 from the average family of four’s income. Obamanomics would be a disaster. During this campaign, Obama has styled himself as an apostle of “hope” who’ll lift up the poor, the destitute and the downtrodden. But his reckless tax hikes, based on envy, not sound economics, would deprive those very same poor and minority communities of the capital needed to provide jobs, incomes and better futures for the people who live in them. Call it the audacity of hopelessness. In fact, history shows that when capital gains taxes are raised, the government actually collects less revenue. This is because capital gains taxes are easily avoided by simply hanging onto the investment vs. selling and taking a gain. History also shows, as you can see in the chart, that when capital gains are lowered - as they were in 2002 (28% to 15%) - the government actually collects more tax revenue. Tags: Barack Obama, capital gains taxes, increased taxes, Scott Miller To share or post to your site, click on "Post Link". Please mention / link to the ARRA News Service. Thanks! Witch Way to the Loony Bin? H/T to Michael Goldfarb, Editor, Weekly Standard for this spost on his blog: Somebody sent me this in an email and I didn't think it could be true. Then I followed the link to the Code Pink website and I was still dubious because the page looks like a mock-up, and it's so nutty...I still didn't think it could be true. But now Fox confirms, Code Pink is engaging in witchcraft at the Marine Corps recruiting station in Berkeley in another attempt to...drive the Marines into an ocean of peace? Witches, Crones, Sirens come to the MRS today to cast spells, weave magic,invoke the foremothers, share wisdom, lead rituals to banish war and violence and to bring peace to the MRS, to protect our youth from the powerful spells of pro-war forces, to lead the men of the marine recruiting station off into the oceans of peace! Some witches, crones and sirens are willing to risk arrest,others are not. We call on all crones, witches and sirens to come to the MRS, to bring your energy, your wisdom, your fierce determination to end war now and bring peace to our world. These people are bonkers, but you have to remember, each one of them is somebody's wife, or sister, or mother. Mental illness is a serious problem, and you just hope that this election will, at some point, get back to "real" issues like providing affordable mental health care for wealthy Bay Area liberals. 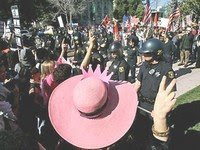 Tags: Berkeley, California, Code Pink, liberals, Marine Corps, recruiters To share or post to your site, click on "Post Link". Please mention / link to the ARRA News Service. Thanks! by Michael Reagan: Here we go again. After being subjected to eight years of the collegial presidency of Bill and Hillary, when we were told that when we got Bill we got Hillary as a bonus, it looks as if we are facing another twofer: Barack and Michelle. Effete liberal Democrats are all but canonizing Barack Obama, who they see as one of their own -- cool, detached, impressively intellectual -- all in all what Pat Buchanan described as something fresh out of the faculty lounge, where lofty thoughts abound and contempt for the great unwashed is hardly concealed. Tags: Barack Obama, liberal, Michael Reagan, Michelle Obama To share or post to your site, click on "Post Link". Please mention / link to the ARRA News Service. Thanks! FoxNews: The latest battle in the war on illegal immigration isn't over the smuggling of undocumented workers, it's over the trash they leave behind. Government officials and border activists say the garbage dumped in the desert by illegal immigrants and their smugglers is staggering. And the cleanup is costing taxpayers millions. 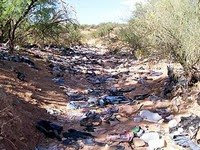 In 2006 alone, more than 1.18 million pounds of trash was collected along southern Arizona border, many in the meeting spots where immigrants rest, change clothes and wait to hitch a ride further north with a smuggler. . . . Tags: Arizona, economic cost, Fox News, illegal aliens, illegal immigration To share or post to your site, click on "Post Link". Please mention / link to the ARRA News Service. Thanks! by James Carder, The Chilkoot Homesite (also posted on the John McCain 2008 Network): "Let Us Raise a Standard to Which the Wise and Honest can Repair." - George Washington Here is a man who had the vision and wisdom in a few short words which shows that he understood what America's prophetic calling was and the obligation that our great enterprise has to its people, to the God of our Forefathers and to the Future of Mankind. Short of knowing what this understanding and commitment is for the present and in the future, no political candidate is fit for the Office of the Presidency. Just who is the President? He is our chosen standard-bearer. He bears the burden to ensure that America fulfills her mission toward her destiny during his term in office. That is his job. ...with all its political, social and spiritual implications. He is the one, who, after the advice of many councils, seeks to find the kind of wisdom which can only come from God to deal with the many complex matters that the nation and world will encounter during his tenure. He is the one who is made responsible and accountable for the nation before God and Man. He is an example to our children. He is the leader of our sons and daughters in combat. He is the one who gathers our better minds to the task of resolving the problems and challenges to the nation and to Mankind. He allocates our resources and dispatches our ambassadors. He sets forth our foreign policy and preserves our place amongst the nations of the world. He understands the depth of the nation's relationship with the God of Israel and of the American people's eternal solemn obligation to protect that heritage, the same heritage that they share with the Jewish people. The President will also be he who understands the difference between God and Creation in these matters and when he is unsure, he will know where and how to seek the advice of God and those who do know. He will be responsible for National Security. And, he will understand what that consists of. This will be the next President of the United States and, God willing, that man will be John McCain! Tags: George Washington, John McCain, President, United States To share or post to your site, click on "Post Link". Please mention / link to the ARRA News Service. Thanks! In the Senate: The Senate is not in session today! Will reconvene Monday at 2 PM. The next votes are scheduled for Tuesday are on the energy amendments to the flood insurance bill (S. 2284), the GOP proposal, and a Democrat amendment to halt the filling of the Strategic Petroleum Reserve. Both amendments will require 60 votes for adoption. Later, the Senate will vote on final passage of the flood insurance bill. Yesterday, the Senate adopted the Dodd substitute amendment to the bill. In the House: Democrat leaders were forced to postpone floor consideration of their supplemental war funding bill after Blue Dogs threatened to scuttle it over billions in new entitlement spending that is not offset. Democrats are doing a wonderful job criticizing themselves, but one has to marvel at members of a group that wants to cut off funding for the war accusing others of not being sufficiently concerned with the welfare of U.S. troops. The Democrats' mismanage the war funding bill has been a spectacle this week. They have no one to blame but themselves, though, as the whole convoluted exercise has been an attempt to mollify members who don’t want to vote for war funding and are clamoring for billions in domestic spending. Passing a clean supplemental bill that simply funds the troops would be faster and probably better for everyone involved. Tags: Strategic Petroleum Reserve, energy, military funding, US Congress, US House, US Senate, Washington D.C. To share or post to your site, click on "Post Link". Please mention / link to the ARRA News Service. Thanks! Tags: Election 2008, John McCain, military, military decorations, US Navy To share or post to your site, click on "Post Link". Please mention / link to the ARRA News Service. Thanks! by Vasko Kohlmayer, FrontPageMagazine: A recent survey on the environment found that seventy percent of people worldwide think that the planet is running out oil. Only less than one quarter believe that there is enough of it to keep it as a primary source of energy. Petro pessimism runs especially high in the United States where a full two thirds think that the point of depletion is within sight. Here are some hard facts. According the Energy Information Administration as of January 2007 there was more than 1.3 trillion barrels of proved crude oil on earth. Even if this were all the oil on the planet there would be no immediate danger of shortages, because at the current rate of consumption – roughly 85 million barrels a day – this supply would last for more than 40 years. Tags: United States,coal, crude oil, foreign oil, oil, shale, tar sands To share or post to your site, click on "Post Link". Please mention / link to the ARRA News Service. Thanks! On The Floor: The Senate will resume consideration of the flood insurance bill (S. 2284). Yesterday, the Senate defeated an amendment to add wind coverage to flood insurance and also voted down three other amendments to the bill. The Senate Appropriations Committee is expected to hold a markup on the Iraq and Afghanistan supplemental appropriations bill today. Even the Democrats’ Chairman of the Senate Energy and Natural Resources Committee, Sen. Jeff Bingaman (D-NM), told The Albuquerque Journal that he opposes the windfall profits tax: “Specifically, Bingaman said the windfall profits tax is bad policy because it creates ‘inconsistencies’ in the commodities markets. ‘It's very difficult to determine what's a windfall profit and what's not,’ Bingaman said. ‘It's very arbitrary.’” Arbitrarily punishing oil companies for making money isn’t the only problem with the windfall profits tax, of course. When it was last tried in 1980, the Congressional Research Service reported that “the entire effect of the tax [was] to reduce domestic production and supply” and “made the United States more dependent upon foreign oil.” Other Democrat senators voiced to voice doubts over the Democrats’ energy plan. Sens. Chuck Schumer (D-NY) and Mary Landrieu (D-LA) were critical of regulating futures markets and hiking taxes on oil companies, respectively. In the House, Democrats are in disarray on the supplemental war funding bill. Though leaders had planned to vote on the bill today, objections from Blue Dogs over offsets to tacked-on spending forced Democrats to postpone a vote. A series of news stories this week has chronicled the unhappiness of Democrats with various provisions of the bill. CQ Today summarizes, “the leadership’s strategy for the spending . . . is defensive in nature and designed to frustrate the desires of most Democrats” but at the same time allow them to vote for things they like and against things they dislike. Tags: Democrats, energy policy, military funding, US Congress, US House, US Senate, Washington D.C. To share or post to your site, click on "Post Link". Please mention / link to the ARRA News Service. Thanks! 1. MYTH: The American people are footing the bill for Iraq's security and reconstruction while Iraqis sit on large windfall oil profits . . .
2. MYTH: It's no big deal if Congress fails to pass a war supplemental bill by Memorial Day . . .
3. MYTH: The Iraqi government has not taken advantage of reduced violence by making political progress . . .
4. MYTH: The U.S. is negotiating a back-door treaty with Iraq's government that will tie the hands of future Presidents . . .
5. MYTH: Iraqis are not defending their country . . .
6. MYTH: Current spending on the war is historically unprecedented . . . Tags: Iraq, Iraq War, Myth To share or post to your site, click on "Post Link". Please mention / link to the ARRA News Service. Thanks! Tags: domestic drilling, free market, gas prices, Heritage Foundation, nuclear energy, refineries, solutions To share or post to your site, click on "Post Link". Please mention / link to the ARRA News Service. Thanks! William Gheen, Americans for Legal Immigration: Ron Gochez rallies a group of student protesters advocating illegal immigration into America as forming a "Northern Front" of revolution against 'racist' whites and capitalism.This video is being show to evidence the growing separatist movement in America. If you are disturbed after hearing this video, you should be. The LaRaza & Aztlan movement cannot be ignored. Tags: ALIPAC, Aztlan, illegal immigration, news, Politics, Reconquista, Ron Gochez, speech To share or post to your site, click on "Post Link". Please mention / link to the ARRA News Service. Thanks! On The Floor: Senate reconvened at 9:30 AM today. After an hour of morning business, the Senate will resume post-cloture consideration of the motion to proceed to the flood insurance bill (S. 2284). Yesterday, a motion to invoke cloture on the Rockefeller substitute amendment to the FAA reauthorization bill (H.R. 2881) failed, because Senate Majority Leader Harry Reid block amendments to the bill. Reid has taken this negative action more than any other majority leader. The FAA bill was set aside and the Senate then voted to move to the flood insurance bill. The Senate Appropriations Committee is expected to hold a markup on the Iraq and Afghanistan supplemental appropriations bill on Thursday. Meanwhile, CQ Today reports that House Democrats have finally put together a supplemental war funding bill and are planning on bringing it to the floor Thursday. Democrat leaders have devised a three-step plan for the bill which will supposedly allow House members to vote for things they like and things they dislike while still passing the bill. The House will first vote on the actual war funding, then on an amendment calling for premature troop withdrawals from Iraq, and then on an amendment adding billions in domestic spending. However, many Democrats are displeased with the bill, especially Blue Dogs who dislike the extra domestic spending that Democrat leaders plan to tack on without paying for. Even more spending is expected to be piled on when Senate Appropriations Committee Chairman Robert Byrd (D-WV) holds a markup on the bill Thursday. In other news, Republicans continue to press House Speaker Nancy Pelosi to allow a vote on the Colombia Free Trade Agreement. Today, Senate Republican Leader Mitch McConnell said, “According to an estimate by the Department of Commerce, U.S. goods entering Colombia have been weighted down with more than $1 billion in tariffs since the Colombia Free Trade Agreement was signed. One billion dollars. This is a heavy burden to place on U.S. workers and the businesses they work for.” Sens. Kit Bond (R-MO), John Cornyn (R-TX), and Mel Martinez (R-FL) also spoke on the need to pass the Colombia pact. At the same time President Bush hosted House Republicans at the White House and again called for a vote on the Colombia agreement. Tags: Columbia, FAA, flood insurance, Free Trade, Iraq War, military funding, US Congress, US House, US Senate, Washington D.C. To share or post to your site, click on "Post Link". Please mention / link to the ARRA News Service. Thanks! We are excited. All who are on fire for our cause to go to the SecureArkansas.com website and sign up to volunteer to get petitions. The requirement is approximately 62,000 signatures by July 7, so in reality we need between 80 and 100 thousand to make up for any that are disallowed. The time to get them is very short, so we need to recruit, recruit, recruit. Can't get too many volunteers for this. Please let everyone now. Our chairman, Jeannie Burlsworth, has a great powerpoint presentation she will do for meetings and she will go anywhere in Arkansas. She is working very hard, focusing on recruitment and her telephone number is 501-765-3325. The states all around us have tightened up their laws and this will make Arkansas a sanctuary state if we don't do something. Think of that. This is something of an emergency. Tags: Arkansas, ballot initiatives, government transparency, illegal aliens, illegal immigrants, illegal immigration, petitions, public money, Secure Arkansas To share or post to your site, click on "Post Link". Please mention / link to the ARRA News Service. Thanks! by Phyllis Schlafly: Ben Stein is known to many as an actor on Comedy Central. But the funniest part about his latest movie called "Expelled" is not any clever lines spoken by Stein but the hysterical way the liberals are trying to discourage people from seeing it. Stein's critics don't effectively refute anything in "Expelled"; they just use epithets to ridicule it and hope they can make it go away. However, it won't go away; even Scientific American, which labeled the movie "shameful," concedes that it cannot be ignored. Tags: Ben Stein, Expelled, liberals, Phyllis Schlafly To share or post to your site, click on "Post Link". Please mention / link to the ARRA News Service. Thanks! Bill Smith, ARRA Editor: Like most Americans, Arkansans are feeling the pain of both gas prices and food prices. Renee Taylor of Bradley County, Arkansas felt the pain as well but she is national writer and took to her keyboard to express her frustration in ‘Free Food’ Puts a Bad Taste in My Mouth' published today in Family Security Matters . Renee started by addressing President Bush announcement last week calling on Congress for an additional $770 million in international “food aid.” Renee said, "I had just returned from a trip to the grocery store and was feeling less than charitable upon hearing that he wanted to give more aid to countries (such as the terrorist, America-hating states of Somalia and the Sudan) that we have been “feeding” for over 50 years." This week, I called the office of my senator, Blanche Lincoln (D-AR), to invite her to join me at the local grocery store. Ours is not a family on government assistance – we do not get that little food stamp card each month, nor can we go to the local welfare office with our electric bill to have it paid. Our children do not wear $100 sneakers and we do not carry expensive cell phones. We do not live in government-funded housing and our children do not receive “free” breakfast and lunch at the local government-funded school. I wanted Washington, represented by Sen. Lincoln, to enter the reality of the middle class American – the one who pays $2 for a loaf of bread and $10 for a gallon of cooking oil in cash; the family who buys staples such as flour and cornmeal, fruits and vegetables to cook healthy meals rather than “prepared” foods that contain the high fats and calories that are quickly becoming staples of the American diet. I wanted Sen. Lincoln to stand with me in line as those with “food stamp cards” use them to pay for junk food and sodas. I wanted her to explain to me why the apparently able-bodied person in front of me is purchasing items on government assistance that many working Americans can ill afford. But I won’t hold my breath that Sen. Lincoln will take me up on the offer. Tags: Family Security Matters, food prices, gas prices, government programs, government waste, Blanche Lincoln To share or post to your site, click on "Post Link". Please mention / link to the ARRA News Service. Thanks! Why Is Congress Doubling Down on Mortgage Mess? The Foundry, Morning Bell: The United States likes to think of itself as a model of free markets. Unfortunately, in far too many sectors of the economy the reality is that the federal government already plays a huge role. Housing is a perfect example. The two Government Sponsored Enterprises (GSE) created to help the feds muck around in the housing market, Freddie Mac and Fannie Mae, already dominate the mortgage industry, handling more than 80% of all mortgages bought by investors in the first quarter of 2008. At the urging of politicians determined to increase homeownership rates, the Federal Housing Administration (FHA) has increased the number of exotic mortgages in its portfolio from 2% in 2000 to 35% in 2007. Tags: gambling, Heritage Foundation, Morning Bell, mortgage default, mortgages, The Foundry, US Congress To share or post to your site, click on "Post Link". Please mention / link to the ARRA News Service. Thanks! Last week, the United States Supreme Court ruled that states can require voters to produce photo I.D. before voting. Predictably, ACORN was aghast at the decision, calling it “One more strike against the basic right to vote…that further disenfranchises people of color and low income Americans.” That’s a bold remark given that if photo I.D. requirements had been in effect in Washington State two years ago, ACORN’s fraud scandal would never have happened. It’s also very revealing, since all citizens have photo I.D.s, and the only people who don’t are illegal aliens, who are, by definition, not allowed to vote. The only ones disenfranchised by the photo I.D. requirement are those who should NOT be voting anyway. Even with the new Supreme Court ruling, this year’s election may be tainted with voter fraud. Women’s Voices Women Vote, a liberal Washington, D.C.-based nonprofit voter outreach group that targets unmarried women is receiving criticism in seven states for possible fraudulent voter registration practices. Mailings and phone calls from the group have confused thousands of primary voters. Arizona’s Secretary of State called the group’s mailings “misleading and deceptive” for suggesting that voters were legally required to send back the enclosed registration forms. And North Carolina voters last week received automated messages from the group informing them to expect a voter registration packet in the mail, nearly two weeks after the mail-in-voter registration deadline for the Tar Heel state’s presidential primary. Women’s Voices Women’s Vote spokespeople say the group is working hard to correct these missteps. But something tells me that in an election that may be the most important in a generation, we have not heard the last of these types of voter fraud scandals. Tags: ACORN, Arizona, Gary Bauer, North Carolina, photo id, US Supreme Court, voter fraud, Washington To share or post to your site, click on "Post Link". Please mention / link to the ARRA News Service. Thanks! Tags: Activist Judges, Election 2008, John Mccain, Judges, Tony Perkins To share or post to your site, click on "Post Link". Please mention / link to the ARRA News Service. Thanks! On The Floor: The Senate reconvened at 10 AM today. Resumes consideration of the FAA reauthorization bill (H.R. 2881). A cloture vote on the Rockefeller substitute amendment is scheduled for 2:30 PM. Reid blocked Republicans from offering amendments. Reid’s move may prevent him from getting cloture on the bill today. If cloture is not invoked, the Senate is expected to turn to a cloture vote on the motion to proceed to a flood insurance bill (S. 2284). The Senate Appropriations Committee may hold a markup on the Iraq and Afghanistan supplemental appropriations bill on Thursday. Democrats have repeatedly blocked commonsense solutions to increase domestic oil supplies, often saying it is important to invest in alternative fuels instead. Many bills have passed to do just that, and there is no reason both cannot be done at the same time. Further, it is disappointing to hear Democrats complain about oil that would not be ready for 10 years in the case of ANWR, only to see their solutions consist mostly of much longer term ideas for new technologies. After weeks of infighting over differences among themselves on a supplemental funding bill for operations in Iraq and Afghanistan, Democrats appear ready to move forward with a bill in the House. Of course, this is without going through the regular committee process, something Democrats promised they would not do in 2006, as detailed by Politico. With regard to troop funding, House Democrats seem more interested in playing politics with this bill, then getting the funds to our troops. The New York Times reports that although “[President] Bush has steadily insisted he would not approve any legislation that exceeds his spending request for the war, sets any withdrawal deadlines or adds domestic money he opposes like the unemployment benefits,” House Democrats are preparing a bill with all three of these items. Including these measures in the bill will only serve to delay the war funding needed by the Pentagon, since the withdrawal provisions in particular will not survive in the Senate and the added spending could result in a veto. Admiral Michael Mullen, JCS Chairman has said that the military needs this funding “very badly before the Memorial Day recess. . . . We stop paying soldiers on the 15th of June and we have precious little flexibility with respect to that.” However, Sen. Harry Reid responds, “I think we’ll do our best to finish this before the Memorial Day break, but if we don’t, it’s no big deal.” No big deal? Some days it’s difficult not to be taken aback by Reid's cavalier attitude towards funding our troops and by the Democrats demonstrated delays and political posturing. Tags: FAA bill, gas prices, troop funding, US Congress, US House, US Senate, Washington D.C. To share or post to your site, click on "Post Link". Please mention / link to the ARRA News Service. Thanks! Bill Smith, ARRA Editor: Two young republicans running for Sebastian County House District 64 seat offer hope to the future of the Arkansas Republican Party. One is 30 year old, Stephanie Malone, an advertising executive. She grew up in the politically active family that includes her uncle U. S. Rep. John Boozman and her aunt Vickey Boozman who is also running for a state House seat. The other is Brandon Woodrome, age 20; younger but very conservative. State representatives have to be at least 21 when they take office. Woodrome turns 21 on Sept. 9. If he wins, he would take office in January. When shares his ideas, Woodrome says his experience is an example of why government needs changing. He grew up in a family that depended on food stamps, subsidized housing, “and every program touted by liberals as humanitarian.” Woodrome said such programs destroyed his family, taking away his parents’ incentive to the point that the state terminated their parental rights and he became a foster child during his teen years. Woodrome was married at 17 and has a 6-month old son. He is a manager at a construction company and has worked for the same boss since age 15. Brandon believes Medicaid, Medicare, food stamps and Social Security should end. He believes that if those programs didn’t exist, churches and community organizations would take a greater role in caring for society’s needy, as they did before the programs started. He realizes these are federal programs, but has made them part of his broader state to distinguish his positions. Woodrow said “The other candidates in this race have their political theory because it is a political theory. They haven’t seen the evils I’ve seen. It’s not just right or left to me. It’s right or wrong.” He said "his brand of conservatism was earned the hard way." On illegal immigration, Woodrome says local law enforcement officers should be able to ask everyone for proof of citizenship. Officers should be able to check the legal status of any person charged with a felony, driving while intoxicated, or booked into jail. He said the state should adopt a law similar to one approved in Oklahoma which prohibits the government from providing driver’s licenses or public benefits without proof of legal status. He said, "The state should punish people who hire or harbor illegal aliens." Malone said she wouldn’t go as far as Woodrome, though she agrees the state should penalize employers who knowingly hire illegal aliens. On taxes, Woodrome was disappointed that Gov. Beebe didn’t propose reductions in government spending while reducing the grocery tax in 2007. Woodrome said income taxes should be cut. Malone said she would support getting rid of the remaining 3% of state sales tax on groceries. Malone said her top priority would be economic development. Woodrome said his top priority would be protecting Arkansans by sponsoring immigration legislation. Both opposed the establishment of a state lottery and favored the proposed initiated act that would ban unmarried, cohabiting couples from adopting or serving as foster parents. Tags: Arkansas, GOP, Republican Party of Arkansas, RPA, Sebastian County To share or post to your site, click on "Post Link". Please mention / link to the ARRA News Service. Thanks! CitizenLink: States are passing laws allowing women to see the pre-born child in their womb and decreasing the number of abortions in the process. Tags: abortion, CitizenLink, pregnant women, right to know, Stuart Shepard, ultrasound To share or post to your site, click on "Post Link". Please mention / link to the ARRA News Service. Thanks! KUAR FM89: Stung by two fundraisers for Republicans hosted by Democratic lawmakers, Democratic Party of Arkansas Chairman Bill Gwatney said Monday he mailed the letter on behalf of activists concerned about party members supporting GOP legislators. "Our party faithful do not understand why the Democrats that they have worked to elect would support a Republican," Gwatney wrote in the April 23 letter to the state's Democratic constitutional officers, legislators and congressional delegation. . . . In the two-page letter, he cites the Little Rock fundraiser for Republican Rep. Bryan King of Green Forest and another fundraiser last year for Sen. Gilbert Baker, the former chairman of the state GOP, hosted by outgoing Senate President Jack Critcher, D-Batesville, and incoming Senate President Bob Johnson, D-Bigelow. Gwatney doesn't mention any of the Democratic lawmakers by name in the letter. . . . [Read More] ARRA Comment: Were these conservative Democrats who aiding the Republicans and if so have they noted their party's departure from their grandparent's beliefs. Or, were they helping RINOs. I guess we will have to watch and see. However, it is nice to learn that democrat activists (whoever they are) are upset. Tags: Arkansas, Democrats, Politics, Republicans To share or post to your site, click on "Post Link". Please mention / link to the ARRA News Service. Thanks! Early voting began today for the May 20th Preferential Primaries and Non Partisan Judicial General Election. Secretary of State Charlie Daniels said, "Early voting will be available statewide from 8 a.m. to 6 p.m. Monday through Friday through 5 p.m. on May 19, and from 10 a.m. to 4 p.m. on Saturdays." Each county will provide at least one early voting location, usually at the county courthouse, and some will offer additional locations. Voters who participate in the elections will have a choice of three ballots: Democratic, Republican, or nonpartisan judicial. However, nonpartisan judicial races will also be listed on the partisan ballots. Daniels identified that voters may vote in any party’s primary without regard to how, or if, they voted in the Feb. 5 presidential preferential primary. Daniels says he's not expecting the high voter interest that the state saw in the February Fifth primary, which featured a 35% voter turnout. About 70,000 of the more than 544,00 voters who cast a ballot in February did so through early voting. Daniels says that with few high-profile races capturing the state's attention, he doubts the turnout among the state's roughly 1.6 million voters will be as high. The election will also feature three races for seats on the Arkansas Court of Appeals and based on filings as least 20 races for Arkansas District Circuit Judge. Tight legislative races may be hard to find. Of 118 legislative seats that are on the ballot this year, there are only 18 contested Democratic primaries and 9 Republican contests. Turnout may also be affected by the lack of any contested primaries for the state's four incumbent congressmen and the U.S. Senate seat held by Mark Pryor, who didn't draw any major party opponents for the primary or general election. In few counties will primaries draw attention for local county offices. Among the high-profile primary contests are Senate District 33, which pits Sen. Joyce Elliott, D-Little Rock, against former state Rep. Joyce Elliott, D-Little Rock. Sen. Jim Luker, D-Wynne, also faces a primary fight in the Democratic primary from Rep. Denny Sumpter, D-West Memphis. State House District 99, which includes Benton County, features a Republican primary fight between Vickey Boozman, the widow of former state Health Director Fay Boozman, and Tim Summers, who sits on the county's quorum court. House District 29, which includes Saline County, will feature primary contests on both sides. Scott Smith, a senior managing partner of SKB Partners in Bryant and Mike Beckwith, a Benton business owner, are competing for the Democratic nomination in the district. The Republican contest features University of Arkansas at Little Rock political scientist Ann Clemmer, Acxiom Corp. analyst J. Brett Hooton and former Bryant City Council member Bud Lidzy. State House District 81 in Baxter County, has a hotly contested primary fight between former quorum court member and former state senator and business owner Gary Hunter of Mountain Home and a senior district representative for former Congressmen Tim and Asa Hutchinson for and Arkansas State Univ Mountain Home associate chancellor Karen Hopper of Lakeview. It is anticipated that many Democrats and Independents will vote in the Republican primary because of the Hunter-Hopper race. In Nov., the winner will face both a Democrat and Independent candidate. The seat was previously held by Johnny Key who wins without opposition the District 1 Arkansas Senate seat. Tags: Arkansas, early voting, nonjudicial election, preferential primary, primary, Secretary of State, voting To share or post to your site, click on "Post Link". Please mention / link to the ARRA News Service. Thanks! Ever wonder why printers are so cheap? So they hcan ave you hooked for the ink. Just a little humor to help ease the pain of your next trip to the pump. And - If you don't pass this along to at least one person, your muffler will fall off!! Okay, your muffler won't really fall off . . . but, you might run out of toilet paper. Tags: gas prices, humor To share or post to your site, click on "Post Link". Please mention / link to the ARRA News Service. Thanks! On The Floor: The Senate is OUT TO A LONG LUNCH!! They will reconvene tomorrow at 10 AM Tuesday. They are scheduled to do little under the Democrat leadership. May resume consideration of the FAA reauthorization bill (H.R. 2881). A cloture vote on the Rockefeller substitute amendment is scheduled for on Tuesday afternoon. As previously reported, Harry Reid blocked Republicans from offering amendments. The House has a full plate of generally non-controversial bills such as a resolution celebrating Mother’s Day. Wow, let's debate this one. Some people had bad mothers and in the future, clones ("test tube" democrats) may not have mothers. From News Sources: As in April, the Democrat leadership continue their same do nothing actions - hoping for a democrat president in January, 2009. Can you believe we pay these people? However, they are squabbling over the supplemental war funding bill behind the scenes. Last week, House Majority Leader Steny Hoyer (D-MD) insisted that the supplemental bill would be ready for the House floor this week, but Roll Call reports that plans are still up in the air as Democrats fight amongst themselves. Leadership is butting heads with appropriators who aren’t happy with plans to bypass the committee process, anti-war members are demanding a vote on timetables for withdrawal from Iraq, Blue Dogs want spending offsets, and a large number of Democrats want a chance to load the bill up with domestic projects, despite President Bush’s threat to veto such a bill. 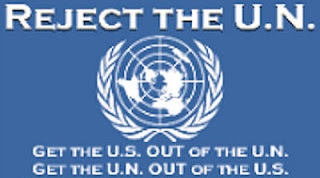 The Democrtats pending enengy plan appears to be to punish the golden goose who provided our oil from around the globe. They are loudly demanding that oil companies be punished for their profits. Senate Democrats scheduled a press conference for last Friday but postponed it -- another instance where Democrats cannot get their act together. If they want to punish our major industries, imagine their fairy tale antics moving next to punishing Americans for breathing -- you know, letting out all that dangerous carbon dioxide (with an exclusion for Capitol Hill). Tags: gas prices, gasoline, military funding, oil, US Congress, US House, US Senate, Washington D.C. To share or post to your site, click on "Post Link". Please mention / link to the ARRA News Service. Thanks! This in from one of our readers, Susan: I agree wholeheartedly with Sen. Hillary Clinton when she insinuates that Sen. Barack Obama is not qualified or capable of running this country, and I agree wholeheartedly with Sen Barack Obama when he insinuates that Sen. Hillary Clinton is not qualified or capable of running this country. So, for the first time that I can recall, I am in total agreement with the Democratic Party. Tags: Barack Obama, Democrats, Hillary Clinton, political humor To share or post to your site, click on "Post Link". Please mention / link to the ARRA News Service. Thanks! John McCain is committed to lowering health care costs for Americans. Tags: Election 2008, Health Care Reform, healthcare, John McCain, medical costs, presidential candidate, solutions, TV, video To share or post to your site, click on "Post Link". Please mention / link to the ARRA News Service. Thanks! Keep Arkansas Legal reported that on Wednesday, Federal agents arrested 24 suspected illegal immigrants working on a construction project near the Little Rock National Airport, but not inside the airport's secured areas, officials said Wednesday. Agents raided a construction project at the site of Supermarine, a company that provides fuel and supplies to corporate and private aircraft. A spokesman for U.S. Immigration and Customs Enforcement at New Orleans, said the raid came as local police served an arrest warrant on a U.S. citizen facing a drunken-driving charge. ICE got a tip that illegal immigrants worked for that contractor, and the agency decided to carry out a raid at the same time as local officers went to the site. The raid came as part of ICE's effort to target illegal immigrants with access to critical areas like airports, military installations and nuclear power plants. However, the construction site is outside of the secured areas where the runways and terminal sit, said airport spokeswoman T.J. Williams. Of those arrested, 23 were Mexican nationals and one man from Peru. Wednesday's raid comes two weeks after an immigration raid on a north Arkansas poultry plant. Agents arrested 21 suspected illegal immigrants at Pilgrim's Pride plant in Batesville, Arkansas as part of a nationwide sweep against workers using illegally obtained Social Security numbers and driver's licenses. Tags: Arkansas, arrests, Batesville, ICE, illegal aliens, illegal immigrants, Keep Arkansas Legal, Little Rock To share or post to your site, click on "Post Link". Please mention / link to the ARRA News Service. Thanks! Tags: Barack Obama, Democrat, Election 2008, fabrications, lies, Top 10 Reasons To share or post to your site, click on "Post Link". Please mention / link to the ARRA News Service. Thanks!